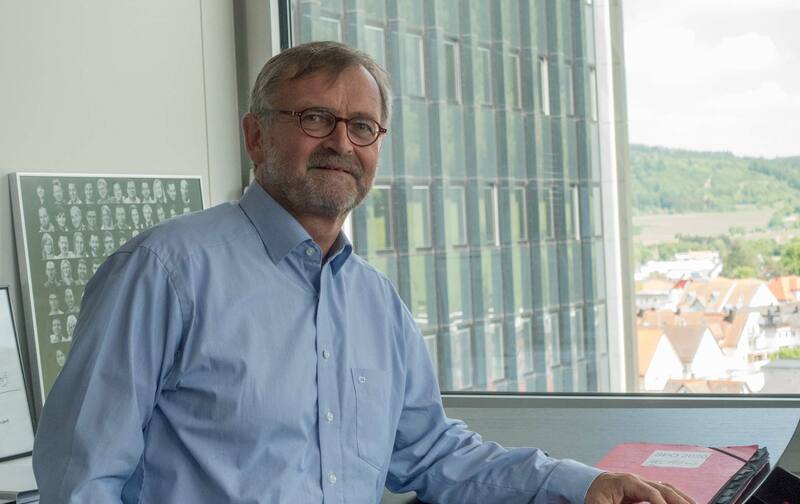 Dr. Winfried Scherle is Executive Vice President, ZEISS Consumer Optics Business Group. 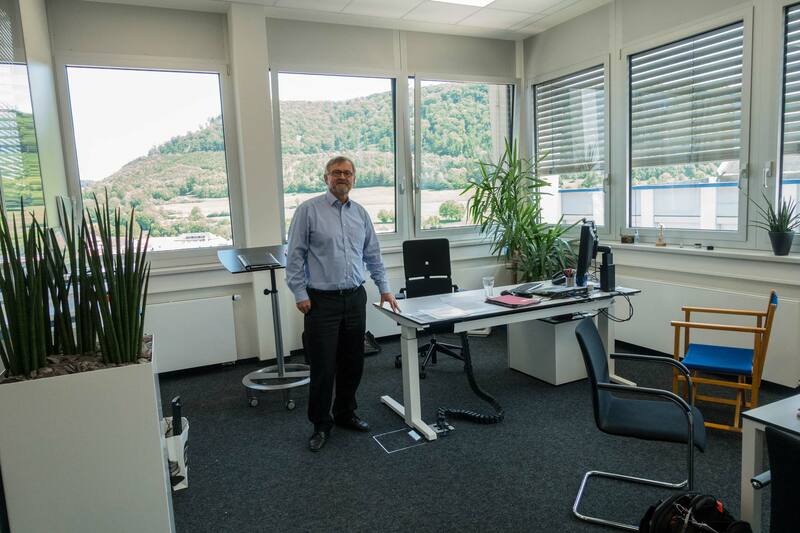 This interview was conducted during my tour of ZEISS recently, at his office in Oberkochen, during lunch in the company’s new restaurant, and later that evening over splendid seafood at Italia Giovanni in Aalen. This is a preview of part of our September FDTimes IBC Edition, with a special 20-page Tour of ZEISS and the ZEISS Optical Museum. JON FAUER: How do you see the cine lens business now and where do you see it going? WINFRIED SCHERLE: We saw our vision confirmed at NAB when RED introduced their Full Frame 8K camera. We always had the feeling that the Full Frame Format would come sooner or later. This was a confirmation of our idea to invest in the development of our Compact Primes and Compact Zooms, which cover Full Frame and also serve all smaller formats, such as Super 35. What did you know that others didn’t when you decided to go Full Frame? I often make decisions from a gut feeling. This has been the more successful path in business, rather than engaging in heavy market analysis that often looks backwards. I think it’s necessary to have a feeling of where things will go. Then you can create something new. If you analyze, including the support of research institutes, you’re always looking for somebody to make a decision for you and whom you can blame in the case of no success—meaning not taking responsibility. I appreciate being in the position to make the decisions by myself, based also on the long-term existing close contact to customers and their critical feedback. Why did you have that gut feeling? Was it because of your appreciation for still photography? You were proven correct with the RED announcement of a Full Frame / VistaVision camera. Will the other companies move to the 24×36 format for their cine cameras? I can’t say too much about how the other companies come to their decisions, but I’m convinced that in the near future the relevant innovations and improvements will be made with Full Frame sensors. With the huge number of FF still picture cameras being sold, these sensors will be available for attractive prices. Canon started with the 5D MKII and was, according to my understanding, surprised that the community used the still camera for motion pictures. Sony has the a7RII and a7S which is dedicated for motion pictures. I’m convinced we’ll see more and more cine cameras with Full Format sensors. But after you made the decision on something, you need time and patience until it’s realized. If you decide on a path and then you get nervous, you might wind up changing direction too often. I’m convinced that it’s important for us to have a stable product line with transparency about what we are doing, so customers get the feeling that if they invest in our product, their investment will be protected. At the end, it is about being a reliable partner and gaining the trust of customers. The beauty of a Full Frame lens is that it covers pretty much everything: Super 35, Open Gate, Epic and Full Frame Sensors. And the good news is that Super 35 lenses will not become obsolete because you can crop or window that format on Full Frame cameras. Yes. Of course, if you use the 24×36 mm full size of the Full Frame sensor, then you need to invest in the glass to cover it—but you also have the flexibility of serving all smaller formats. So, by investing in Full Format lenses you are future proof. This is especially important for rental houses who need to serve a wide variety of customers and equipment, but still get a good return on their investment. Tell me about your new ZEISS cine lens manufacturing facility. I think you saw our previous manufacturing and service facility five years ago, which was located on the 7th floor. Where I am actually sitting now in my new office was our service department. We wanted to improve quality, processes and assembly—which was always my dream. We made a lot of improvements in our lean manufacturing process. We did this first with our Compact Primes and Compact Zooms. Then we expanded the process to include the Ultra Primes, the Master Primes and now the Master Anamorphics. The idea was to create a facility with lean production to respond to the market fluctuations and its demands. Can you explain what lean production means? Lean production means that your manufacturing is very flexible with, at the end, a one piece-flow, which means single piece manufacturing. It is the opposite of batch manufacturing which we had many years ago. In one-piece flow, if the customer wants one specific lens, you can make that one particular lens within a month. In batch production, you have to make large quantities at the same time. That involves sourcing a lot more components and raw materials at the same time, and makes production slower. I think the secret to why we’re successful today is that we have flexibility. For me, the goal is to serve the market in the most flexible way. We still have a long way to go in getting perfect and we never should stop looking for improvements to push the boundaries of perfection. Your new facility is quite different from what I saw five years ago. Then, it was dark. Now, you have windows all around; it’s light and bright. Your entire assembly area is now one big clean room. You enter through an air lock, and wear clean room protective clothing. What caused all these changes in the way you approached manufacturing? Was it customer demand? The windows allow for an open atmosphere and in the end a certain transparency which is necessary for continuous improvement. When working with optics, you always want to have very clean surroundings. If you don’t, some dust will get in the lens and then you have to disassemble it. So it is mandatory for high-end optics to have a very clean assembly area. There seemed to be a different atmosphere in the assembly area since last time. People seemed more cheerful, less stressed. I think the architecture has had an effect—and the lighting, the access to daylight and the cleanliness. There’s a new kind of openness. There are the large windows where you can look into the assembly area and the offices. I think if you work in an assembly line and there is stress, it’s more probable that you make mistakes. If you can focus on the work, then this helps to provide excellent quality. Most people spend the largest active part of the day at their workplace in the company. So, I think it’s our responsibility that the people who work here have an environment where they like to come and work and identify themselves with what they do. And if you like to come to work, you are motivated, which shows at the end in the results. I also noticed that many of the tools in the assembly area were custom made by the workers themselves. We involve our people because they often have the better ideas for improvement. Therefore, they are committed to drive the process by themselves. They are invited to bring in their ideas and suggest new methods of doing things, which again supports identification. In the past, you had an engineer who defined the process which often was then not accepted. Now it’s completely a team effort and it is successful. It was interesting to see your team in the assembly area making not only the tools but also customizing their work benches. That’s important because it influences the way you work. It offers a lot more imagination. And if there’s a problem you start to think about fixing it. We don’t have a panic button or ticking clock or pull-cord to stop the assembly line. This is an example of our new spirit—you can see it throughout our company. We have new buildings, new facilities and it’s part of a new identity. One of the key elements is openness. In addition to our aspirations of leading, inspiring, being precise and responsible, we now embrace this open culture. It’s an atmosphere where everything is open, transparent, strongly related to the way we think. For example, the wall in my office is a glass window that supports transparency. The interior design of the offices is an open plan. There are places to gather, to communicate. It’s part of this philosophy. If you want to promote the brand, if you want to create some identity, it should be everywhere. It’s the people. It’s in the rooms. It’s in the furniture. It’s in the processes. ZEISS has a long history of commitment to the well-being of employees. The company restaurant appears to be part of this philosophy and architectural style. It is beautiful and cheerful. That’s the reason we built a restaurant for the staff. The food is quite good; some people say it’s the best restaurant in Oberkochen! We were very proud that Bryan Adams came here and gave an unplugged concert for our employees at the opening ceremonies of our restaurant which we call “ZEISS Kulturkantine”. Your ARRI/ZEISS Master Anamorphics are really taking off in popularity. Martin Scorsese and Rodrigo Prieto just finished a movie with them. The next “Star Wars” is using them. What is the reason for the sudden boom in popularity? I saw lots and lots of them in the assembly area today. We are still ramping up production and we are also planning to expand the line. I think the reason for their popularity is the up-to-now unbeaten quality that is a new benchmark. They have the same quality our customers expect from our spherical primes, such as the Master Primes. This kind of quality has never before been available in anamorphic lenses, so it opens new ways of working. What direction are you taking ZEISS? What’s happening next? For me, the next thing is to integrate all the ZEISS consumer divisions into a single unit. This also includes the implementation of a common product design language. If you look at the sport optics products or our photographic products, the design language has to tell you it’s a ZEISS product. And, of course, by using synergies we’re developing portfolios in all directions. The next big challenge is to find our role in the developing new digital world. Currently, we are on the hardware side but we have to think what our contribution can be beyond this. These are the challenges that we think will be the next big steps for the development of our business and the whole industry. How is the photographic market different from cinema? Still photography is an area where we have found our position and that we are developing further. You have seen the recently introduced ZEISS Batis (E-Mount AF Full Frame) lens family. We are expanding the ZEISS Otus (F and EF Mount Full Frame) and ZEISS Loxia (E-Mount Full Frame) lens families and will introduce a new lens family this autumn. As still and motion pictures are coming closer together, we see a lot of opportunities in this area. Also, we are looking for new, untapped fields in the consumer business that might be interesting for ZEISS to enter: products that have the promise of high quality and long-term value. Can you explain the relationship you have with Sony? ZEISS has been open to partners for quite some time. We have been partnering with ARRI for more than 75 years and more recently with Nokia (now Microsoft), and Logitech. This year will actually mark 20 years of partnership with Sony, which has been operating in the fast-moving consumer industry for a long time. During this period we have been working closely together on the consumer side and on an informal level with the professional side. Sony brought their expertise in consumer electronics and we contributed optical competence which is the core of a win-win collaboration. We are involved in design and quality assurance, and Sony’s part is production and sales of the co-branded products. Who decides what lenses are going to be made under the Sony brand and under the ZEISS brand? We have regular strategy meetings with Sony where we discuss roadmaps and so on but please understand that we can’t disclose further details. Do you think Sony is committed to expanding the E-mount line? Yes, they have been very successful by creating a new market with mirrorless cameras for high-end applications. I think they were surprised about the success when they introduced the first mirrorless cameras in an environment that was dominated by DSLRs. So the E-mount market and mirrorless cameras have been a really disruptive technology. Very popular especially in Japan? It started to be very popular in Japan but now it’s spreading around the world. And it’s getting even more relevant with the a7 series Full Format cameras. We are convinced that this will also drive the motion picture industry. I think this familiar format size will take off for cine. I was surprised we didn’t see more Full Frame cine cameras at NAB. Last year Sony showed the a7S. And the logical next step would have been a cine camera, so we will see what Sony will show in the future. Yet it was RED Digital Cinema [who introduced a full frame 8K camera first that windows to 4K Super 35]. RED again comes out first with the next disruptive paradigm. The community experiences Jim Jannard and RED as revolutionaries—initiating big changes. It’s what I would have expected. The RED 8K sensor is 41 mm wide x 21 mm high, slightly larger than Full Format. You can still shoot 4K in the familiar Super 35 area. So, to cover both the PL size and the big full frame area, will we stay with a PL mount? Or will the manufacturers get together and agree on a new standard with a shorter flange depth, since we don’t have spinning mirror shutters anymore? I would be very happy to have a new standard because I think it benefits the customer. We had discussions with other lens manufacturers who also expressed interest in this. If you have a standardized mount, customers would have the flexibility to buy any combination of camera and lens, and use their preferred setup. I think we should offer the customers a standardized mount both on the camera and on the lens. Everyone would benefit from a new standardized mount and I would be really glad if the industry would decide on such a mount, because of the customer’s benefit. At the end it also would drive innovation due to the competition between the manufactures and the lower investment barrier for the customers. I currently think many companies believe they can win by promoting a closed system based on their own mount. But we would give strong support that this idea is changing. Some companies lead for a while, and then other companies lead. So it’s more the ego of the company to protect their mount, perhaps. But for the customer, it would definitely be beneficial to establish a standardized mount. Although, what might happen is a system of exchange. Like changing tires on a car, for example. [laughs.] But overall, throughout history, if you have standardization, that is good for long-term success. But each company wants to protect their own legacy of mounts and flange depth. This works if you’re leading the market. If you have by far the biggest market share, then there’s some value to protecting it. But, in the relatively small cine industry, we have a lot of competition now. Investment and innovation will be driven by flexibility. This is especially true for the camera rental houses that have to recoup their investments and therefore need stability. In the end, they might be reluctant to invest in a particular system if it is not reliable and future-proof. Will existing PL-mount Super35 lenses become obsolete? We all should consider how best to serve the customer and this was also a reason to introduce Full Frame lenses. Above all, I would like to provide good products for the customer, so that’s the foundation of our business. But on the other hand, if you do good things for the customer, they will come back and stay loyal to you, which again allows for the driving of innovation. In the cine market, will interest in anamorphic continue? Currently we see an ongoing interest which makes it attractive for us, but in the end it’s like looking into a crystal ball. But you’ve been good at that so far. Your gut feeling. I’m convinced that this will stay for a while. Maybe not forever. The world is changing. But for the next few years, anamorphics will play a major role. And that’s the reason why we’re still investing more in anamorphics. Looking towards the future of the cine world, are we going to see more electronics in lenses and cameras the way still cameras can correct for shading and aberrations and so on? I think this is a good idea and can benefit the customer. Having good data available for post-processing would be a very good approach. Again, my wish would be to have a standardized interface and standardized metadata available for image processing. Definitely, I think it would be the right approach to have more data available in the lens that gives the system the knowledge of the actual status of the lens—distortion, color, shading and so on. Also looking towards the future, some of the manufacturers are worried that maybe we’re going to see a lowering of prices. As the medium becomes more democratized, customers may demand lenses that are not as expensive. There is a market for lower-end, lower budget lenses. Some of the other companies are doing this. On the other hand, if you want to have a product that can be useful for several generations of cameras, I think you will invest in the high end. It is our philosophy to stay in the high end. We will stay with prices where you get a lot for your invested money. And our expectation is that our lenses will survive for generations of cameras. So you feel there will always be a high end in cinema? Some rental houses were worried that about competition driven by the Asian manufacturers to try to lower prices. That philosophy always comes from consumer electronics. But in the end, nobody will be the winner from such games. If you look at the consumer television manufacturers, the big players fought among themselves and truly hurt their own markets. They lowered the prices too aggressively. My own experience is a good example. I bought a 3D TV at Christmas and half a year later, it was half the price. I was angry about that. Similarly, if a rental house or DP invests in an expensive product that plunges in price shortly after, they will never get a return on their investment. 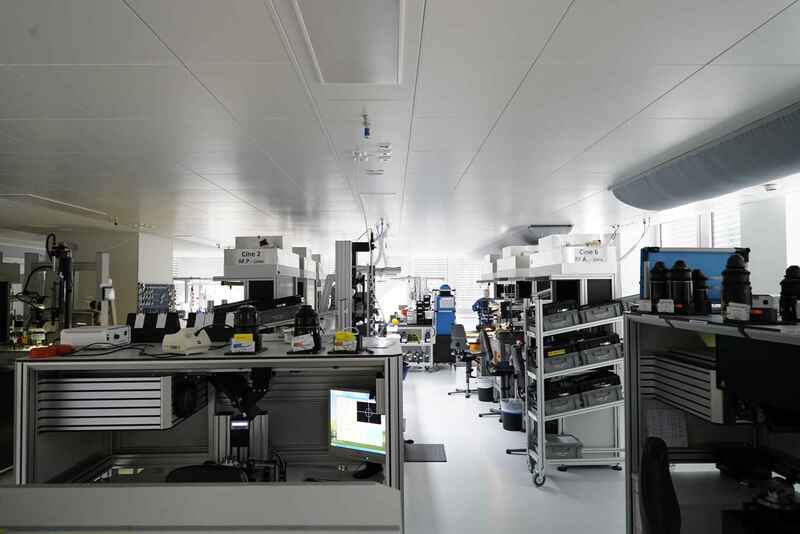 We feel responsible that our customers are proud of products from ZEISS and have a long-term usage of their investment. Grant Petty, CEO of Blackmagic, has said that we are experiencing not a convergence of the consumer electronics business and high-end cinema, but actually a divergence. There are new markets and more different opportunities and there will always be a high end, a middle and a low end. Do you agree? It’s changing a lot. There will be more pictures and images in the world. Even with mobile phones, many more still and video images are shot. For me, it’s a question how to handle all this data. How do you handle all this data? We don’t have an answer yet. In the “good old days,” up to a few years ago, if I shot some pictures, I had a couple of film rolls and I thought about each picture I made. Now, I can shoot as many pictures as I like and then come home and say, “Oh, when I retire I may start to sort my pictures.” Yes, some day. We have an inflation of pictures, and we need to find better ways to handle the huge amount of pictures we create. But I’m convinced that good procedures will be available. What is your main commitment at ZEISS today? Our motivation is to make the best products for our customers and to enable them to do superior imaging. By doing this, customers will buy our products, bringing the economic success required by any company to invest in the next generation of progress. If you think about the Master Anamorphics, we attempted to do something new and set a new benchmark that would benefit our customers, and now they are desired. There seems to be a company connection between products, precision and philosophy. Our self-understanding is to be a leading company by creating new benchmarks in the industry. And here, as mentioned before, we like to enable our customers to realize their ambitions. People working with our products should be inspired. If you take a Master Anamorphic, I think it can inspire the creativity of cinematographers. They like to have a precise tool. The focus and iris scales have to be precise. And then, we have to be open to changes in the industry, spotting new trends and by serving the changing needs of our customers. This is also reflected in the architecture and surroundings in which our products are created and built. The concept is open. An open architecture supports open communication, resulting in good ideas. And in the end we are responsible partners for our customers in case they need support. In a way, the lens is a work of art and the cinematographer is making art as well. Now, every cinematographer wants to be unique and have his or her own unique look. How can you help them to achieve this? We always aim to make the best, almost perfect lenses. If you like certain effects you can, of course, modify those lenses by degrading performance. For example, we provide flare sets for the Master Anamorphics. Furthermore, you can use filters and nets. I believe it’s advantageous for the artist to have a really good lens and then make modifications to reduce some of the perfections by modifications. It never can work the other way around. You can’t take an inferior lens and add a filter to make it perfect. Sometimes, people talk about the “look” if they don’t have a perfect lens. We just try to make the best and then leave it to the cinematographer to manipulate the lens to create their unique and special style. Dear Zeiss, please bring the classic super speeds back. They would sell like hotcakes. – Nikon version is step-less manual aperture BUT wrong focus direction. – Canon version is cine focus direction BUT no step-less manual aperture. So, both versions have issues. Why not offer it in Nikon and Canon mounts with step-less manual aperture AND correct focus direction?